What is being done to reshape regional health economies? Unprecedented changes are channeling resources in new directions across the economic landscape, often bringing new actors, new strategies, and new decision-making processes into the mix. Below are some serious movements that are under way to rethink economics in a region, as well as others that focus on economics writ large. In addition, there is a new generation of initiatives are devoted to advance the frontiers of investment and financing for whole-scale regional health reform. Some of the more prominent ones are listed below. Anchor Institutions, or the nonprofit institutions that, once established, tend not to move location, are supplanting other types of institutions in terms of their importance to their local economies. Participatory Budgeting empowers people to decide together how to spend public money. Watch video. Local Living Economies advances the localist movement by connecting leaders, spreading solutions, and attracting investment to create real prosperity for all. Watch video. Regenerative Capitalism is based on a single idea: that the universal patterns and principles the cosmos uses to build stable, healthy, and sustainable systems throughout the real world can and must be used as a model for economic-system design. Purpose Built Communities is helping local leaders make a positive impact in some of the U.S.’s most distressed neighborhoods. Watch video. 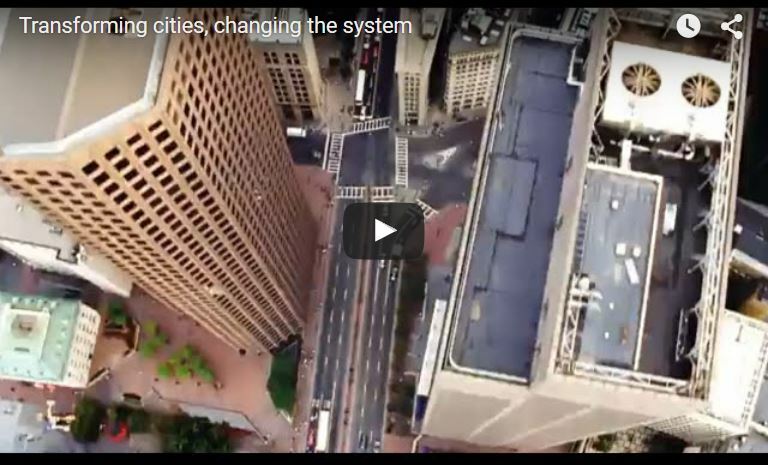 Living Cities works with cross-sector leaders in cities to build a new type of urban practice aimed at dramatically improving the economic well-being of low-income people. The Resilience Dividend is a book by Rockefeller Foundation President Dr. Judith Rodin that presents stories from around the world showing how people, organizations, businesses, communities, and cities have developed resilience in the face of otherwise catastrophic challenges. Watch video. Market Consolidation in health care has spurred a need to weigh the benefits of integrating services against antitrust concerns. Institute for New Economic Thinking, created in response to the global financial crisis of 2007 and 2008, accelerates the development of a new field of economic thought. Governing the Commons, or collectively managing shared resources, was the focus of economist Elinor Ostrom’s research, for which she was awarded the Nobel Prize in Economics. B Corporations are certified businesses that seek to improve quality of life in communities and around the world. Watch video. Blended Value sees value as a function of economic returns with social and environmental impact. Social Entrepreneurship refers to the use of business techniques to address social problems. Capitalism 3.0: Reclaiming the Commons is a book by Peter Barnes that sets forth a new vision for capitalism that involves managing shared resources and assets in ways that benefit society as a whole. The New Social Economy refers to the use of financial and structural tools to address society’s challenges, from social inequities to climate change. New Health Economy is a vision for the future of health care in which today’s siloed disease treatment industry will be replaced by a wide open health marketplace. Alignment for Health Equity and Development (Public Health Institute, The Reinvestment Fund, Kresege Foundation)* is an initiative aiming to make community investments smarter, more strategic, more aligned, and more effective. Build Health Challenge (Advisory Board Company, de Beaumont Foundation, Kresge Foundation, Robert Wood Johnson Foundation, and Colorado Health Foundation) awards funding to strengthen community collaborations and provides them with access to a broad range of support services. Watch video. Build Healthy Places Network supports collaboration across the health and community development sectors. Watch video. Bridging for Health: Improving Community Health Through Innovations in Financing (Georgia Health Policy Center)* works with regions that are pursuing innovations in policy, health care delivery, and financing mechanisms that improve outcomes, and rebalance and align investments in health. Child Health System Transformation Initiative (Nemours, UCLA, others) seeks to take advantage of the ACA, zone-based community development, and placed-based prevention efforts to set in motion a scalable child health improvement initiative. Community Wealth Building (Democracy Collaborative) looks to provide Americans with information about the broad range of community wealth building activities happening in the United States. Healthy Communities Initiative (Federal Reserve Bank of San Francisco and the Robert Wood Johnson Foundation)* is designed to enrich the debate on how cross-sector and place-based approaches to revitalize low-income communities might both revitalize neighborhoods and improve health. Watch video. Moving Health Care Upstream (Nemours, UCLA, Kresge Foundation)* aims to identify, support, connect and highlight innovative multi-sector and multi-disciplinary health partnerships. Next System Project is a multi-year initiative aimed at thinking boldly about what is required to deal with the systemic challenges the United States faces now and in coming decades. Watch video. ReThink Health (Rippel Foundation) works with visionary leaders to transform health at the regional level. Watch video. Roundtable on Population Health Improvement (Institute of Medicine)* brings together individuals and organizations from different sectors discuss necessary actions for improving population health. Way to Wellville (HICCup)* has the goal of supporting five communities across the United States in making visible and lasting improvements to their health and economic vitality. 100 Million Healthier Lives (Institute for Healthcare Improvement)* brings together change agents pursuing the goal of 100 million people living healthier lives by 2020. Recommend others: This is a rapidly changing area, so please contact us to recommend other relevant movements and initiatives that we should include on this page.